The 2017 New York Times Travel Show will feature numerous presentations for attendees interested in activities for younger travelers. On Saturday (1/28) and Sunday (1/29), admission for children (18 and under) is free. In its 14th year, the Travel Show doors open to the public on Saturday and Sunday (Jan. 28-29) for two days of on-site deals and offers, travel seminars, tips from professionals at Meet the Experts programs, stage performances, and other features. The Travel Show is also presenting a new feature, the Family Travel Pavilion, a dedicated area divided into exhibit booth space, a Presentation stage and a Kids demonstration area, where kids can experience culinary classes, arts & crafts projects, face painting and travel-related activities. The pavilion will also showcase leading players in the Family travel space, including lodges, resorts, destinations, cruise lines and dude ranches. Ross Levi, Vice President of I LOVE NY, who will share top destinations for families to travel within the state of New York. Learn about the hidden gems and can’t-miss experiences of Southcentral Alaska. Lebanese cuisine culinary star and PBS personality Julie Taboulie takes kids on a creative, colorful and culinary exploration of fresh flavors from the Finger Lakes region, presented by Visit Syracuse. Book signing to follow. Taste the Dumplings Before You Travel: Travel to Ukraine welcomes participants and their families to discover varenyky — a Ukrainian traditional dish — presented by Veselka restaurant located in N.Y.C.’s East Village. Book signing to follow. Sally Black, acclaimed author and owner of Vacation Kids Travel Agency, will provide insights on how travel agents can really help parents plan the ultimate family getaway. How to plan an Amazon Family Adventure: From upscale river cruises to rustic lodges, International Expeditions’ experts discuss options to reconnect with nature in the Amazon rain forest. Ranjana Armstrong, Founder of nugget.travel, a community of family explorers making aspirational trips achievable and ordinary trips more enjoyable, will provide hacks on how to successfully travel with children. “Getting Around Family Travel Roadblocks: Top Challenges Keeping Families from Traveling — and How to Overcome Them.” Experts will share personal insights and tips about how to overcome those challenges for families with diverse interests, budgets, desires and needs. Fresh From Florida: Chef Justin Timineri provides culinary travel tips for families that want to make better food choices while vacationing in the Sunshine State — and invites participants to enjoy a fun, fresh and kid-centric demonstration and tasting. Georgia Aquarium: Over 10 Years of Awe-Inspiring Wonder: Learn about Georgia Aquarium, their programs, events and exhibits and receive giveaways. Kitchen Talk on L.G.B.T. Family Travel: Join celebrity chef Art Smith and his daughter, Zuky Francis Smith Salgueiro in the kitchen for tips on baking their favorite family chocolate cake — along with tips on L.G.B.T. family travel from Karen L. Christensen, the deputy assistant secretary for Overseas Citizens Services at the U.S. Department of State. Some additional highlights at this year’s Show include a “Selfie Station” hosted by the Georgia Aquarium, where children can snap a picture under the sea; a LEGO®-building contest for kids under twelve, hosted by MSC Cruises; and the “Discover Costa Rica Challenge,” where participants can download an online program for activities and games throughout the Travel Show’s Kids Activity Zone, hosted by Il Viaggio Travel. The New York Times Travel Show is proud to announce the Family Travel Association is an Industry Sponsor of the inaugural Family Travel Pavilion at the 2017 Show. The 2016 New York Times Travel Show will feature a wide variety of exclusive discounts, cultural performances, kid-friendly activities, culinary tastings and new offerings for the spa and wellness traveler. This year’s Travel Show, taking place at the Jacob K. Javits Center, will begin Friday, Jan. 8, with its Trade Day, which is open exclusively to travel industry professionals. The Travel Show will be open to the general public Saturday, Jan. 9, and Sunday, Jan. 10. 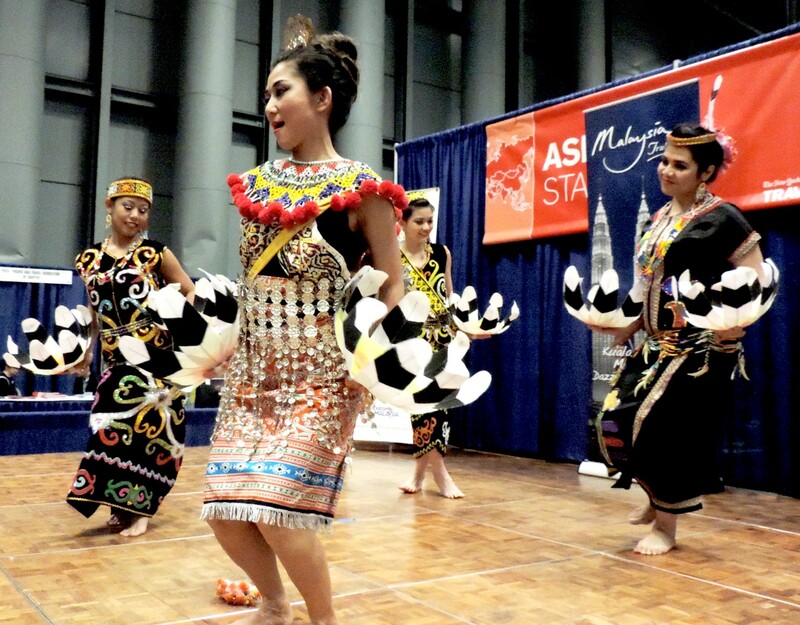 Attendees also will enjoy visions and sounds of the world on stage through cultural performances that bring global destinations to life across five different stages on the exhibition floor. The Travel Show’s “Taste of the World” culinary pavilion will provide attendees with samples of cuisines from around the globe. “Taste of the World: Kids Kitchen” will invite children of all ages to participate in fun food experiments while learning about nutritious eating and international dishes. Ferguson and Jenn-Air are presenting sponsors of the 2016 New York Times Travel Show Kids Kitchen. They are also supplying the kitchen that will be used on the Taste of the World stage. Astor Wines and Spirits, FreshDirect, Institute of Culinary Education, Stephenson Custom Case Company and Tower Garden are supporting sponsors, supplying staging and assistance, for the 2016 New York Times Travel Show Kids Kitchen. FreshDirect will provide all groceries for Taste of the World and Taste of the World: Kids Kitchen. FreshDirect subscribers will also receive a discount of $3 toward New York Times Travel Show admission. Attendees will have access to exclusive discounts and deals, plus prizes and giveaways, available only at The New York Times Travel Show. New deals will be announced at NYTimes.com/TravelShow in the weeks leading up to the show. Meet the Experts, where travel experts meet one-on-one with attendees to answer questions on destinations from Paris and the Baltic Sea to Latin America and Atlantic City. Experts at the 2015 Travel Show include journalist and TV travel personality Julia Dimon; immediate past president of the International Association of Culinary Professionals Doug Duda; Yahoo Travel editor in chief Paula Froelich; acclaimed travel professionals and radio hosts Arthur and Pauline Frommer; travel editor and radio host Peter Greenberg; travel influencer Brian “The Points Guy” Kelly; award-winning travel journalist, broadcaster and TV personality Joseph Rosendo; and budget travel expert and author Matthew Kepnes. Experts will also present specialty sessions on travel interests including destination weddings and honeymoons, New York state tourism, medical health and wellness journeys, and LGBT travel. The show will open Friday, Jan. 23, with a Trade Day exclusively for travel industry professionals. The Trade Day, featuring the Travel Industry Conference, will include 18 “Focus” conferences covering major travel categories, destinations, destination information and trends in travel on topics ranging from Cruising and Culinary Travel to Young Travel Professionals and Travel Bloggers. The show, the largest and longest-running trade and consumer travel show in North America, will continue Saturday, Jan. 24 and Sunday, Jan. 25 for travel consumers and enthusiasts, featuring an interactive Exhibition including more than 500 exhibitors from Africa, Asia, Australia/South Pacific, Canada, the Caribbean, Europe, Latin America, Mexico and the United States featuring cultural performances and “tastes” of exotic destinations. In addition to discounts and special offers, the show provides educational seminars and live entertainment for families, individuals, couples and seniors. New York Times Travel Show Trade Day and general consumer tickets are now available at www.NYTimes.com/TravelShow. Learn more about The New York Times Travel Show exhibitors, speakers and sponsorship opportunities at www.NYTimes.com/TravelShow. Join the conversation and follow @NYTTravelShow for the latest Travel Show news. 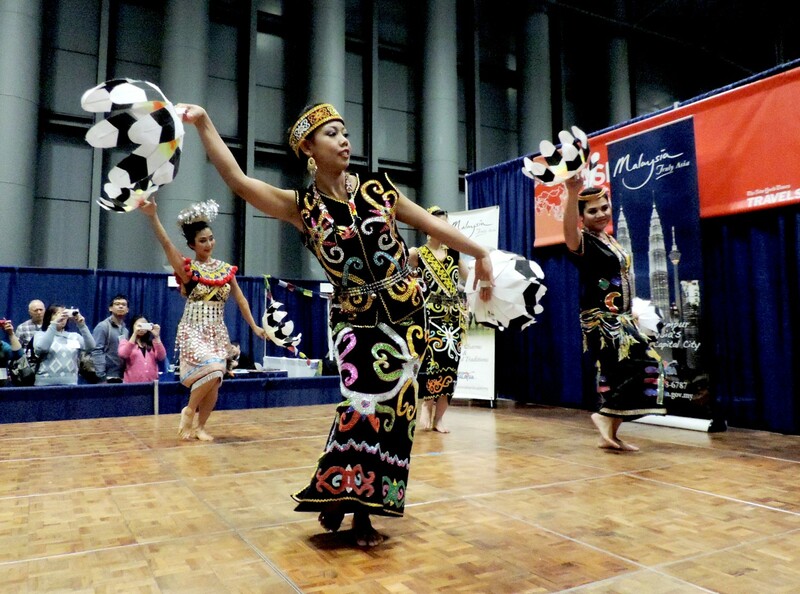 The 12th annual New York Times Travel Show will be hosted Jan. 23-25, 2015, at the Jacob K. Javits Center. The Travel Show attracts more than 23,000 travelers and industry professionals, 7,000 trade attendees and 600 travel industry media from around the world. The Travel Show provides the opportunity for consumers to plan their next getaway during one-on-one conversations with world travel experts, get discounted travel packages including adventure, cruising, luxury and unique ways to see the world for every budget, and sample a variety of international cuisines and live performances. The New York Times Travel Show is the premier travel trade and consumer show in North America, featuring more than 500 exhibitors from Africa, Asia, Australia/South Pacific, Canada, the Caribbean, Europe, Latin America, Mexico and the United States. In addition to discounts and special offers, the show will offer educational seminars and live entertainment for families, individuals, couples and seniors. Follow @NYTTravelShow for the latest Travel Show updates. 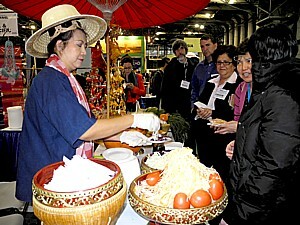 Visit www.NYTTravelShow.com for more information. Tickets are now on sale for The 2014 New York Times Travel Show at the Jacob K. Javits Convention Center in New York City on Saturday, March 1, and Sunday, March 2. The Travel Show is the largest consumer travel event in North America, featuring nearly 500 exhibitors from Africa, Asia, Australia/South Pacific, Canada, the Caribbean, Europe, Latin America, Mexico and the United States. The show will offer discounts, educational seminars and live entertainment for families, individuals, couples and seniors. The New York Times Travel Show will open to consumers on Saturday, March 1, from 10am until 6pm, and on Sunday, March 2, from 11am until 5pm. The show will be held in Hall 3D & E located on 11th Avenue at the 34th Street entrance to the Jacob K. Javits Convention Center in New York City. Admission is $17. For a complete schedule of seminars and exhibitors, and to register online, visit www.NYTimes.com/TravelShow. Meet the Experts area. Meet one-on-one with travel experts who will be available to answer questions covering specific regions, countries, types of travel, activities and destinations. The Family Fun Zone will include an interactive area with opportunities to climb a 24-foot rock-climbing wall, bungee jump on a giant trampoline, and meet animal ambassadors from Sea World Parks & Entertainment. Taste of the World culinary stage will offer exciting food and wine samples from around the globe. American Express is the founding sponsor of The New York Times Travel Show. Supporting sponsors include: South Africa and Visit Florida. Contributing sponsor is The Florida Keys and Key West. Industry sponsors include: Adventure Travel Trade Association, Africa Travel Association, American Society of Travel Agents, Association for the Promotion of Tourism to Africa, Caribbean Hotel & Tourism Association, Caribbean Tourism Organization, Cruise Lines International Association, Cruise Planners International Association of Culinary Professionals, Europe Express, International Gay & Lesbian Travel Association, National Association of Railroad Passengers, Pacific Asia Travel Association, Professional Travel Bloggers Association, Society of American Travel Writers, The International Eco-Tourism Society, U.S. Tour Operators Association and Well-Being Travel. Media sponsors include: Agent@Home, Family Travel Forum, GoNomad, Global Traveler, IN New York and Where Magazines, OffMetro.com, Passport, Travel Agent Academy, TravAllainceMedia, Travel Market Report, Travel Pulse, Travel Tribe, Travel Weekly News, Travel World and Vacation Agent. The 10th annual New York Times Travel Show will be held at the Jacob K. Javits Convention Center in New York City January 18 – 20, 2013. The Travel Show will feature nearly 500 exhibitors representing over 150 countries focusing on travel destinations, tour operators and cruise lines. The show will include special travel offers as well as live entertainment for the whole family. For more information, visit www.NYTimes.com/TravelShow. The New York Times Travel Show is the largest consumer and trade travel event of its kind in the U.S. featuring different regions of the world including Africa, Asia, Australia/South Pacific, Canada, the Caribbean, Europe, Latin America, Mexico and the United States. Exclusive Travel Discounts. The New York Times Travel Show offers vacation discounts and travel packages from nearly 500 sponsors and exhibitors. Visitors can take advantage of these on-site-only offers on the Travel Show floor. International Dance and Live Music Performances. Enjoy entertainment and special live performances from around the world. Travel Seminars with the Experts. Travel experts from television, radio, the leading travel blogs and The New York Times will take questions and offer tips in on-site seminars. Family-friendly activities. The show will feature a fun, interactive area including an indoor climbing wall and other activities where attendees of all ages can experience a taste of adventure travel. International Food and Wine Tastings. Doug Duda, A&E International Network’s “The Well-Seasoned Traveler,” will present tips and tastings for the culinary traveler. Chefs, writers, sommeliers, wine makers and culinary tour guides will take the audience on a delicious journey with demonstrations and samples of this year’s most exciting food and wine adventures. Book Signings with Leading Travel Authors. Once again, there will be an on-site bookstore where attendees can purchase many of the latest travel guides, meet authors, ask for travel advice or get an autographed book. Seminar topics will cover a broad range including budget travel, cruising, eco-tourism, luxury travel, niche travel, travel blogging and travel technology. Speakers and panelists scheduled to participate include travel writer and National Geographic TV personality,Julia Dimon; authors and radio hosts, Arthur and Pauline Frommer; founder of The Points Guy, Brian Kelly; actor, author and editor-at-large for National Geographic Traveler, Andrew McCarthy; co-founder and owner of Gutsy Women Travel, April Merenda; award-winning travel journalist and author, Joseph Rosendo; and international bestselling author Patricia Schultz. 2013 is the year of “The Gathering,” a huge 365-day calendar of events. Join Stephanie Abrams, host of the nationally syndicated radio travel show “Travel WITH Stephanie Abrams!” and “Travelers411®” as she highlights what’s new in Ireland, plus ancient and historic sites, as well. Join Andrea Smith, digital lifestyle editor, Mashable; David Farley, award-winning travel author and contributing editor at AFAR magazine; Brian Tan, founder and CEO, Zicasso; and Laura Bly, travel reporter,blogger and photographer at USA TODAY, as they cover how you can use social media, blogs and reader-review sites to plan your trip. Adventurer and television host Josh Gates has spent the last five years chasing monsters, myths and legends around the globe. As the host of the hit Syfy series Destination Truth, he’s set foot in nearly 100 countries, blending his unique brand of humor with a passion for exploration. Also, he eats very gross things and changes a lot of flat tires … usually while swearing. Now, he’s back to offer his tips on how to plan your next adventure and where to point your compass in the year ahead. Hear about the essential equipment needed to capture your travelexperiences and stay connected on the road through photography. Learn powerful tips and techniques, from what gear you should take to how to store your images. Hear valuable insight into what works and what doesn’t for family travel including advice, tips and “kid-friendly” activities to plan for the younger kids, like adventure camps and service-based adventure travel programs for teens and high school students. indulgent spa escape, exclusive retreats and family trip all near your hometown. Kelly Blazosky, Canal NY; Mary Kay Vrba, Dutchess County Tourism; Natasha Caputo, Westchester County and others to be announced. For more details about the seminars listed above, visit www.NYTimes.com/TravelShow. The 2013 Travel Show will begin with a trade day for industry professionals on Jan. 18, offering targeted conferences. The exhibit hall will also be open for exclusive viewing by travel trade professionals, followed by an industry reception on the exhibit floor. The New York Times Travel Show will take place in Hall 3B, located on 11th Avenue at the 34th Street entrance to the Jacob K. Javits Convention Center. American Express is the founding sponsor of The New York Times Travel Show through 2014. As a founding sponsor, American Express has participated in The New York Times Travel Show since its inception. The supporting sponsor of the 2013 Travel Show is South African Tourism.